The Standard Handbook of Petroleum and Natural Gas Engineering provides you with the best, state-of-the-art coverage for every aspect of petroleum and natural gas engineering. With thousands of illustrations and 1,600 information-packed pages, this text is a handy and valuable reference. A classic for the oil and gas industry. A comprehensive source for the newest developments, advances, and procedures in the petrochemical industry, covering everything from drilling and production to the economics of the oil patch. A desktop reference for all kinds of calculations, tables, and equations that engineers need on the rig or in the office. Handbook of Natural Gas Transmission and Processing gives engineers and managers complete coverage of natural gas transmission and processing in the most rapidly growing sector to the petroleum industry. The authors provide a unique discussion of new technologies that are energy efficient and environmentally appealing at the same time. It is an invaluable reference on natural gas engineering and the latest techniques for all engineers and managers moving to natural gas processing as well as those currently working on natural gas projects. This is an excellent document that combines all facets of engineering within the oil and gas business from source to supply. The Industrial Gas Handbook: Gas Separation and Purification presents valuable information for practicing engineers in the field of industrial gas separation and purification. This book uses SI units in accordance with the international industry and covers such topics as chronological development, industrial applications, air separation technologies, noble gases, front end purification systems, insulation, non cryogenic separation, safety, cleaning for oxygen systems, economics, and product liquefaction, storage, and transportation. It also addresses machinery, equipment, instrumentation, and controls. 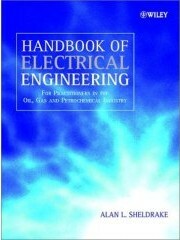 Comprehensive handbook detailing the application of electrical engineering to the oil, gas and petrochemical industries. Practical guidance to the electrical systems equipment used on off-shore production platforms, drilling rigs, pipelines, refineries and chemical plants. Provides worked examples to demonstrate the topic with practical parameters and data. Each chapter contains initial revision and reference sections prior to concentrating on the practical aspects of power engineering including the use of computer modelling. Comprehensive appendices include lists of abbreviations in common use, relevant international standards and conversion factors for units of measure. Gas Detection benefits everyone's health and safety. If you need to know more - if you are considering investing in a gas monitoring system or want to know how to make the most of the one you have, this book, written by two experts in the field, is for you. This illustrated book helps you intelligently design, specify, engineer and use a gas monitoring system. Advantages and Disadvantages of different technologies, Strengths and weaknesses of different sensors, Where sensors should be located and why, Glossary of technical terms, Questions to ask manufacturers of equipment, Answers to your questions on maintenance, and much, much more.. This handbook covers all the major Operational Aspects of Oil and Gas Well Testing & uses a structured approach to guide the reader through the steps required to safely and effectively plan a well test operation under just about any circumstances world wide. Safety procedures & well testing recommended practices are rigorously addressed in this book, as are the responsibilities of those persons involved in well testing operations. Perforating equipment, drill stem test equipment and bottom hole pressure gauges are discussed in detail in the book. A major part of the book is the detailed coverage of the equipment and instrumentation that makes up a surface well testing package. It also covers operational and testing related problems such as, hydrates, wax and sand, and offers the reader some possible solutions. Oil and Gas: Federal Income Taxation (2007) is an invaluable single-source handbook for accounting, tax and legal practitioners concerned with financial issues related to oil and gas industry tax law. This detailed reference is divided into six main sections: Introduction to Oil and Gas Taxation, Acquisition of Interests, The Exploration Period, The Production Period , Dispositions, Other Areas. The text begins with a discussion of the nature of oil and gas reserves in order to gain a better understanding of the industry. Updated and revised by noted oil and gas taxation authority and educator, Patrick A. Hennessee, Ph.D., CPA , this detailed reference is divided into six main sections. This Handbook describes and discusses the features that make up the petroleum refining industry. It begins with a description of the crude oils and their nature. It continues with the saleable products from the refining processes, with a review of the modern day environmental impact. 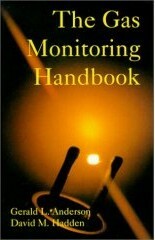 The Handbook also covers off-sites and utilities, as well as environmental and safety aspects relevant to the industry. Introduction to Crude Oil and its processing, Petroleum products and a refinery configuration, Atmospheric and vacuum crude distillation units, Distillation of the Light Ends from crude oil, Catalytic reforming, Fluid catalytic cracking, Distillate hydrocracking and much more.. The Pollution Prevention Handbook provides the necessary tools to set up a successful pollution program; implement specific projects to meet environmental regulation, and improve efficiency and product quality. Methods used to reduce waste generation are illustrated, and new treatment methods to reduce the volume or toxicity of waste are described. Practical examples illustrate key concepts, and numerous case studies provide successful programs found in the real world. The text is divided into three major sections. Written for people interested in preventing pollution in the workplace. Deals with setting up a pollution prevention program and operations common to a broad range of industries or maintenance facilities. Handbook contains the latest technologies in the field of petroleum refining processes. Provides a detailed description and review of process chemistry and thermodynamics, product and by-product specifications, wastes, and emissions. Offers detailed description of process chemistry and thermodynamics and product by-product specifications of plants. Contributors are drawn from the largest petroleum producers in the world, including Chevron, Mobil, Shell, Exxon, UOP, and Texaco. Covers the very latest technologies in the field of petroleum refining processes. Completely updated 3rd Edition features 50% all new material. Sail and Rig Tuning - It not only explains what to do, but why to do it. It is organized well and has great illustations. It is not just for novices, but has information that more experienced sailors will find useful. For example, it has pages with illustrations showing the comparative (in percentages) sail drafts to use for various winds strengths and conditions. 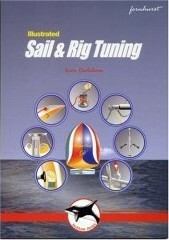 It will educate you into the black art of rigging a sailboat. You'll know, without consulting that expert, when to replace that turnbuckle or wire. The excellent ilustrations in this book make it stand apart. Easy to understand, a great reference to refer back to. Norton Lapeyrouse has done a good job accumulating those hard to formulas that you need in the middle of the night. This handy book gives you all the formations and calculations you are likely to need drilling operations. This book has just about everything you want.A huge variety of topics covered. It can be considered as quick reference guide. An excellent book for students who are taking Petroleum, Drilling or Well Engineering courses. This handy book gives you all the formations and calculations you are likely to need drilling operations' is justified due to the completeness and easy use of the information. This practical guide is packed with illustrations and descriptions of fishing equipment and tools to help you solve just about any fishing problem. Foremen, engineers, and superintendents who write procedures, make drilling decisions, and supervise operations will find this handy book invaluable, and trainees will find it an excellent learning manual. Oilwell Fishing Operations tells how to free stuck pipe, part the pipe string, and repair casing. It describes the various types of catching tools, jars, mills, junk, baskets, and hydrostatic and rotating bailers, along with washover operations, wireline fishing, fishing in cavities, and fishing in high angle deviated and horizontal wells. The Handbook of Rigging for Construction and Industrial Operations have delivered proven solutions for erecting reliable rigs and scaffolds for plants and factories, loading docks, mines and ports, and construction and demolition sites. Complete with extensive coverage of relevant OSHA regulations plus the author's own expert advice on safe practices, this definitive guide shows you how to select and use: rigging tools, fiber and wire-strand rope, slings and hitches, end attachments and fittings, and blocks, sheaves, reeving, and drums-scaffolding and ladders, both manual and powered swinging and suspended scaffolds, wood and metal stationary scaffolds, specialized scaffolds, and portable ladders, rigging machinery, derricks and cranes, overhead hoists, personnel/material hoists, and helicopters, rigging accessories, jacks, rollers, and skids plus safety belts, lifelines, and nets. Corrosion and Scale in crude oil systems are two of the most costly problems facing oil companies, which go to great expense to effectively control the problems. This book covers: The phenomena manifested in oil and water systems by corrosion and scale. How these structures interact to affect the process of corrosion and scale information. The extent of corrodable surface usage in the industry and the value and processes of corrosion control. Scale control processes and their impact on the petroleum industry.